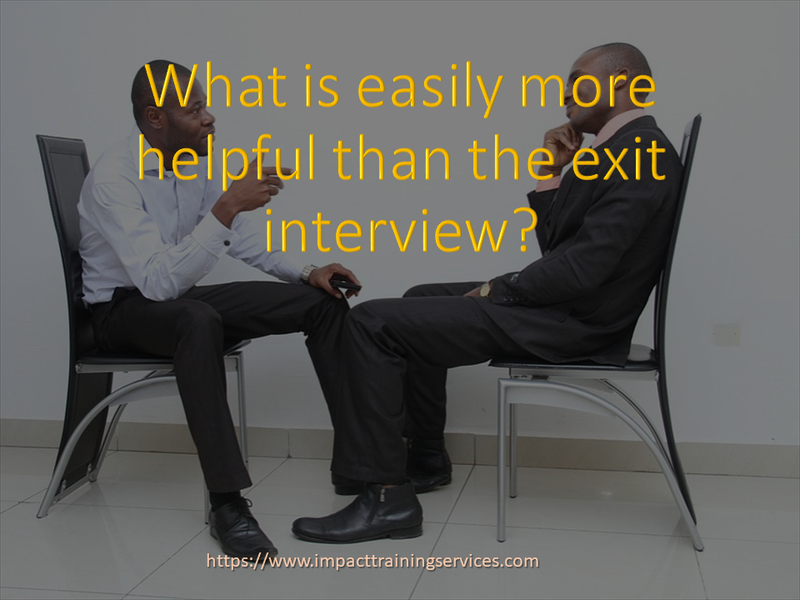 The Exit Interview: What is Easily More Helpful Than This? You are here: Impact Training & Development Services > The Business Box Blog > Employee Development > HR for Small Business > The Exit Interview: What is Easily More Helpful Than This? Can you replace the exit interview? The exit interview...you have heard of it, haven’t you? You haven’t? lucky you! But it is that interview that businesses, mostly big and some small, usually want to conduct after you resign from your “fabulous” job. It is also one of the accepted business practices that I’ve always had problems with. Not because I want to be difficult or because I have a history of leaving many jobs. But because my rather simple mind, with its propensity for child-like logic cannot grasp the purpose of the exit interview. However, just because I don’t get it and I have also thought of an alternative does not mean that it will go away. As a matter of fact, increasingly, my small business clients have been asking me about this “exit interview”. Well, let me tell you, many of the exit interview templates I’ve had the opportunity to review are either not very well-designed or could be costly to conduct. Here are 2 examples of what I’m talking about. Recently, I looked at a questionnaire for an exit interview and noticed that one of the options that the respondents could tick for a reason for exit was “dismissal”. I really had to laugh out loud. You would have to be a member of the World-wide Association of Idiots for some employer to dismiss you and then you turn around and allow them to engage you in an exit interview. This questionnaire was meant to be completed by departing employees and “handed-in” before they leave. Wuhloss! Then I saw the “profound” suggestion by an HR Author that right at the time of resignation was not the best time to conduct an exit interview. She argued that a better approach would be to wait for as much as up to three weeks to conduct this interview. Say what!? Let’s unpack this suggestion. 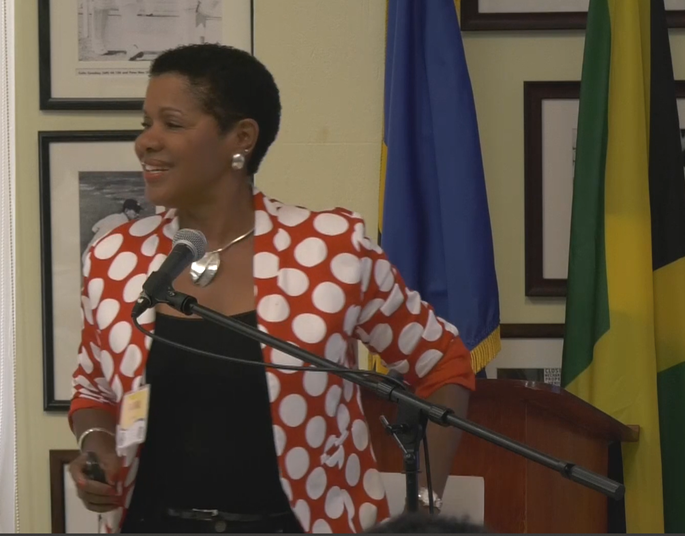 You resign from a job in Barbados in the Caribbean to take up a job in Switzerland in Europe. This is a distance of over 7,500 kilometres. In addition to all the settling in issues both in your new job and in a new home, you’re also dealing with a language difference as well. And someone from your old job calls you up to find out why you left that job? Really? By now, especially if you’re a Small Business Owner, you should be wondering...what could be better than the exit interview? Or what could possibly replace the popular but useless exit interview? I’ve always thought that a “why do you stay?" interview would be far more valuable that an exit interview, especially if your business is small. Depending on the size of the business and the rate of turnover, you could conduct one every 18 months to 3 years. Since they are not very popular, I decided to conduct a few and share the findings with you. but before I do, a word about the methodology. The businesses were all small and covered several industries. I resisted the temptation to survey some self-employed persons, only because I know it would skew the data. As to be expected I will not be mentioning names of businesses or respondents, but I assure you the answers are real. Answer # 1: (3 respondents from 3 businesses) Waaaaiit! Who send you? I still working here because my boss can’t afford the severance pay! Answer # 2: (2 respondents from same business) This job is in town (the city) and I only have to pay one bus fare. Answer # 3: (6 respondents from 4 businesses) I like it here. My boss is cool...she does not breathe down my neck and I get to be creative. Also he shares info about the business. Answer # 4: (4 respondents from 3 businesses) The pay ain’t good but the boss ain’t bad. Answer # 5: (3 respondents from same business) Mrs X is a good boss...she pays overtime willingly , she brings us gifts when she goes away and you can bring the children to work if you can’t find a sitter. Answer # 6 (3 respondents from same business) Mr X ain't got a clue about running this business but he’s such a good person! Answer # 11: (1 respondents from 1 business) I wonder...I’ve been trying to find a better job for years! Answer # 12: (1 respondent from 1 business) I get to run this place. If I was working in a bigger business I would not get to do that. My boss respects me a lot and he consults me when he has important decisions to make. And when people work late, he provides transportation. Now if I were to plot these answers on a cluster graph, the clustering coefficient would have to be very high for “good treatment from the boss” whether that boss was male or female. In other words, it would indicate that for the most part, that treating your employees well, training them and allowing them the freedom to be creative is a significant factor in their remaining with you. Wrapping this up in a neat package, leadership is the key to small business success, especially in getting employees to remain with you. While it was fun conducting this informal survey, I already knew from experience that if you can hire the right employees and find a way to keep then, you won’t need to focus so much on the exit interview. This represents a big opportunity for small businesses. You have the flexibility to hire smart, treat you employees well, build a great team and leave the exit interview to the big corporations. It also means that you have to train and coach yourself as well. As a good leader, you have to grow yourself as readily as you grow your employees. Start engaging your employees while they are still working for you rather than waiting until they are leaving. Then use the information to do more of what works to keep your employees with you. Remember you don’t have the talent pool or the elbow room to make the “exit interview” a viable option for you. Get yourself a great coach and support this with a good leadership programme. Constantly ask yourself “what’s better than the exit interview? And always remember it’s the “Why do you stay” interview!